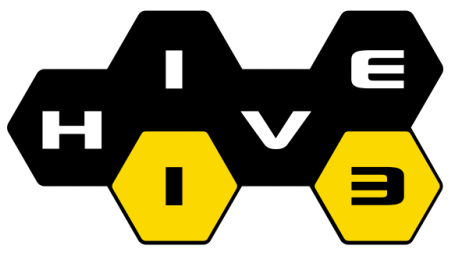 We are Hive 13, the premier hackerspace in Cincinnati, Ohio. We have been around since 2009. We are all volunteers and are organized as a 501(c)3 non-profit. Those of us that are also Tool Racers are dedicated to bringing Power Tool Drag Racing mayhem to maker fairs, both large and small, to inspire the next generation of makers. Never claiming to be original, and with a reputation for always being behind the times, in the Spring of 2013, certain Hive13 members decided to organize our own outlaw Power Tool Drag Race as a feature attraction for the first annual Cincinnati Mini Maker Faire (MMF) to be held in Cincinnati's newly rejuvenated Washington Park that October. We knew that nearby Columbus had some years of PTDR experience and that both Columbus and Louisville were also having their own MMFs around the same time that year. Member Jim reached out and contacted the Columbus Idea Foundry and LVL1 hackerspace from those respective cities with the goal to organize The First Annual, Mid-West Regional Triple Crown of Power Tool Drag Racing. With some arranged financial sponsorship, and working with several from Hive13 and volunteers in the other cities, a portable track was built and setup at the sequential events in each city that first year. In our second year, we added Detroit. In our third year we added New York City. This year we add San Francisco. In each year, a good time was had by all, all the way around, and nobody has gotten hurt. It is all about getting kids fired-up with exciting applications of applied engineering. We are not totally sure where this is going, but we are getting there as fast as we can, and having fun, making it bigger and better each year! Make plans to visit Hive13 the next time you are in Cincinnati.